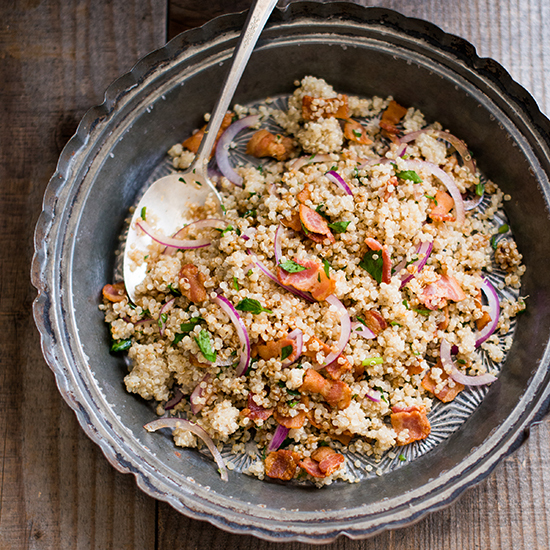 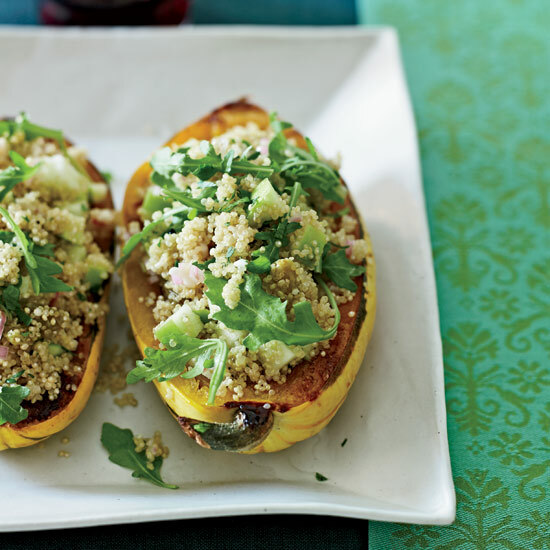 Quinoa makes a fabulous side dish, but is even tastier as a meal. 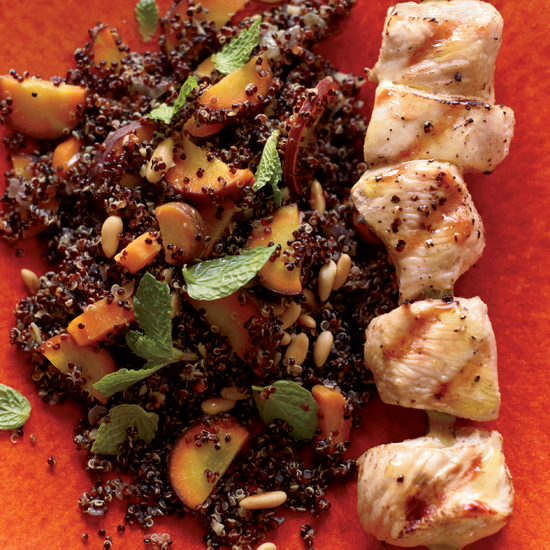 Try these hearty and unique recipes for healthy and filling meals. 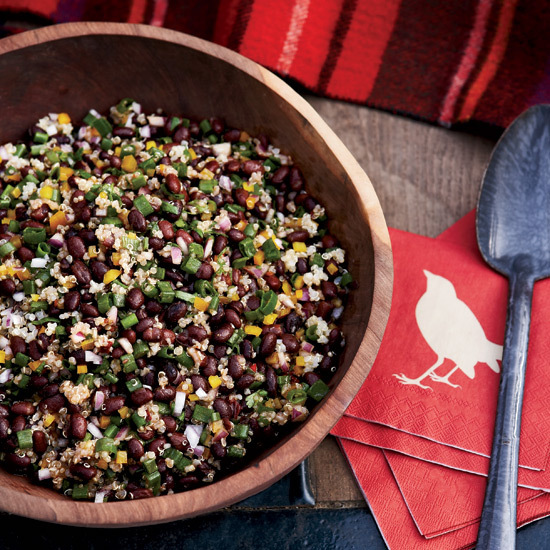 Anna Zepaltas grew up preparing tamales in her mother's Southern California kitchen, but she also loves Indian and Middle Eastern dishes. 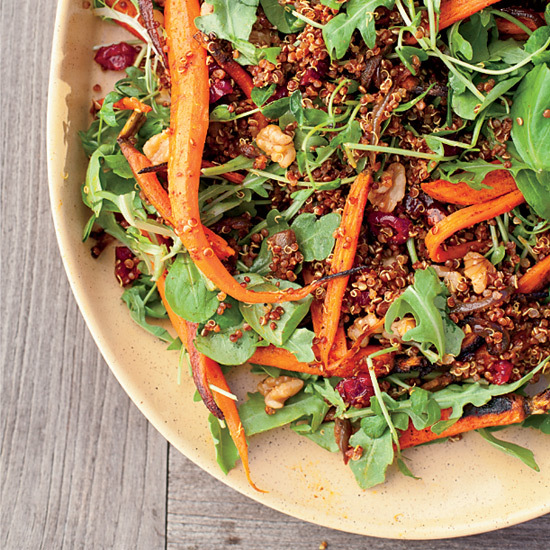 Cumin, coriander and cardamom punch up this salad, inspired by a favorite dish at Chloe's French Cafe in Santa Rosa, California. 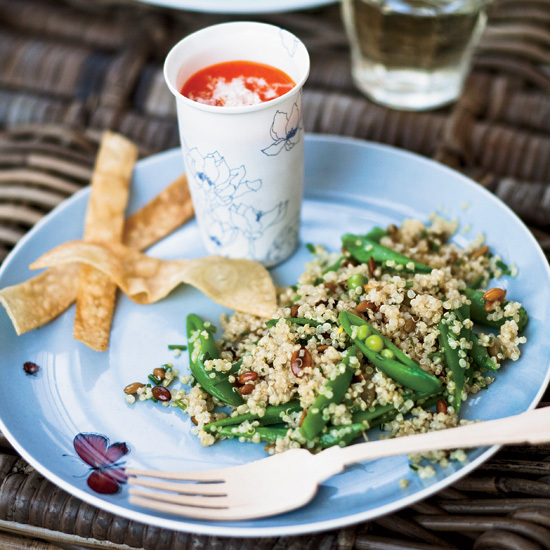 The Good News Eating quinoa is a great way for vegetarians to get protein. 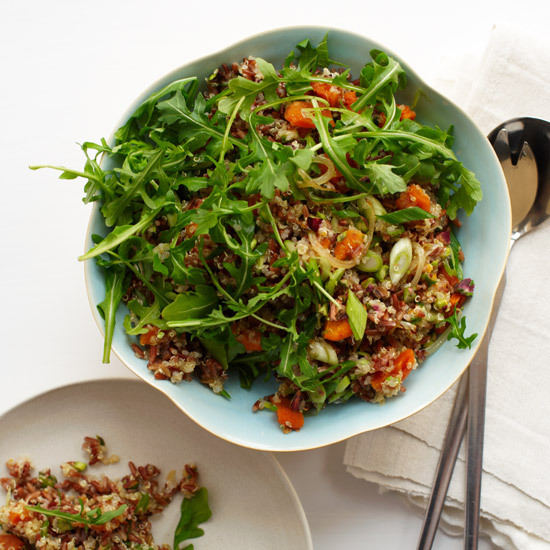 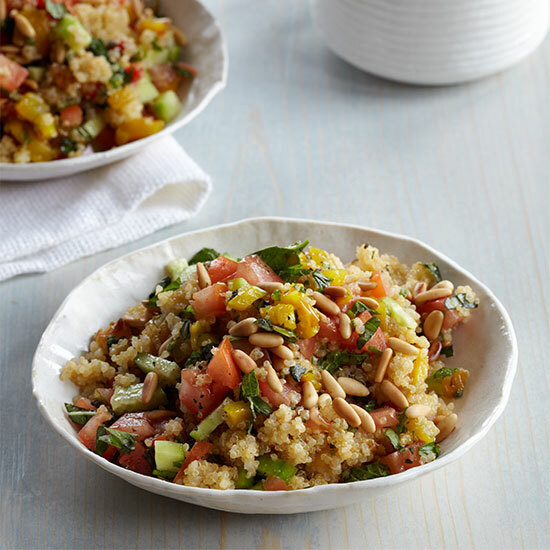 Jeremy Fox tosses nutty-tasting quinoa with crunchy shaved vegetables for a refreshing salad loaded with vitamins and minerals. 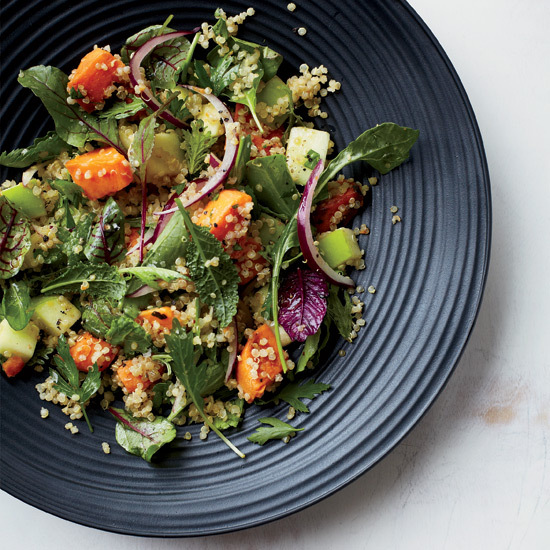 "One thing I've learned as a chef is not to overfeed your customers--a food coma is very unpleasant," says Charlie Parker of Plum restaurant in Oakland, California. 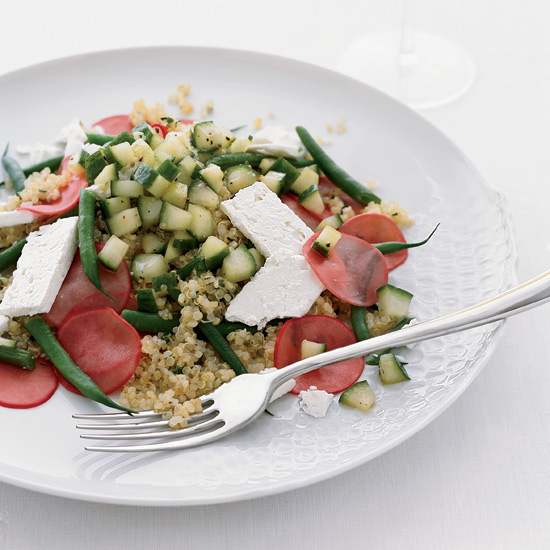 This salad of grilled spring vegetables feels just filling enough, thanks to the protein-rich quinoa and a puree of dates that are grilled first to soften them and intensify their natural sweetness.